Created in 2004 to pay tribute to the people who helped develop the town into what it is today, the mural displays three different settings. The central depiction is of a replica apothecary from the 1900’s. 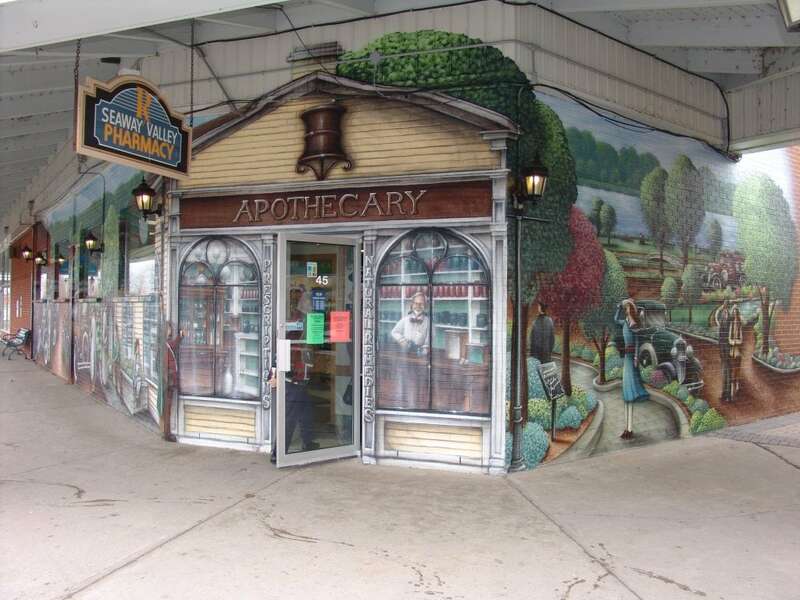 To the right of the apothecary is a depiction of people and the scenery before the Old Seaway in Morrisburg, while the left of the apothecary displays a busy main street that would have been the norm for a growing community, much like Morrisburg, during the late 20’s and early 30’s.